Certain questions will haunt humanity 'til the end of time: Why is James Cameron being allowed to make four Avatar sequels? What actually is and isn't ironic? Does Alanis Morissette understand the difference? 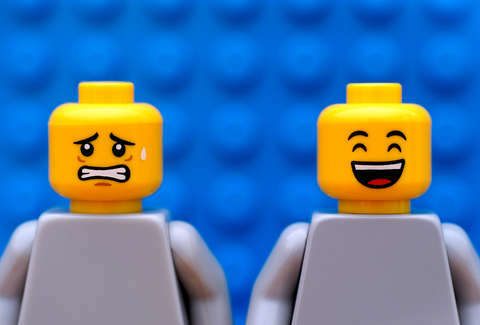 While we can offer no closure on those inquiries, we are happy to announce the answer to another of life's fundamental questions: How long would it take you to poop out a LEGO? Thankfully, a group of pediatricians from the United Kingdom answered this with a small study in which they, well, swallowed LEGOs and pooped them out. And that, children, is a little thing called science (kind of). The article was published in the The Journal of Pediatrics and Child Health last week, and there's even video evidence -- of the swallowing, not, you know, of the second step. As to how that second step was it accomplished, here's an explanation in a blog post about the study: "A variety of techniques were tried -- using a bag and squashing, tongue depressors and gloves, chopsticks -- no turd was left unturned." We hope this answer discourages you from asking any more questions for the rest of your life. On average, the amazing journey of a small yellow plastic head through the human body took 1.71 days. One of these vessels never appeared again, though. It could show up at any day now (they, presumably, won't be looking for it, so we'll never know) or maybe, as the blog post suggests, "one day many years from now, a gastroenterologist performing a colonoscopy will find it staring back at him." Some objected to the study on Twitter and asserted, "It’s funny and interesting but wrong patient group, single type of FB, tiny sample size. It’s not EBM [evidence-based medicine] and should not change practice." To which the authors retorted: "Of course it’s not, it’s a bit of fun in the run up to Xmas." Consider that the paper used as metrics the Stool Hardness and Transit (SHAT) score and the Found and Retrieved Time (FART) score. Science or not, we salute these authors and will never forget the LEGO head that was lost along the way.